Fashion wise, Olivia Munn has kicked things up a notch. the actress made her way to the black carpet for the 2018 Baby2Baby Gala, presented by Paul Mitchell at 3Labs in Culver City, CA on Saturday(November 10th). Olivia was one of the few that served up color and I was glad. 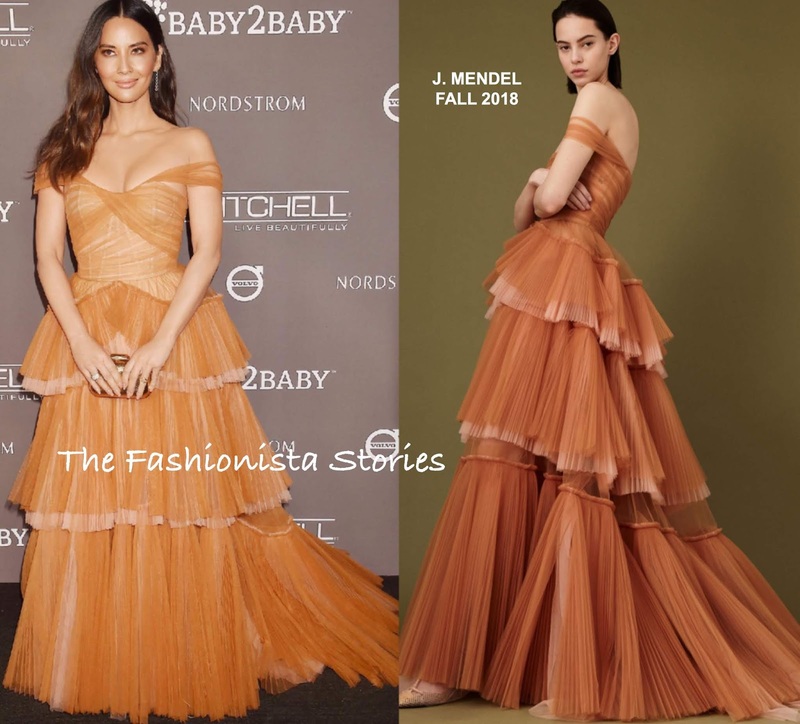 She wore a J. MENDEL FALL 2018 orange pleated organza, off-the-shoulder layered tier gown, with a corset bodice and a short train in the back. The color is not necessarily the best on her but she does look beautiful in this gown. Center part waves, EF COLLECTION & EFFY jewelry and a gold JIMMY CHOO clutch rounded out her look. Do you think this hue works on Olivia?